There are many reasons to dive in and remodel or resurface your pool. Defects and general aging could lead to costly repairs down the road if not addressed. Installing new equipment and more energy efficient technology could save you money and time. Even better yet, it’s time your pool area better fits your needs and aesthetic tastes? Your pool doesn’t have to be just a place to take a dip but a centerpiece for entertainment and the reflection of your style. 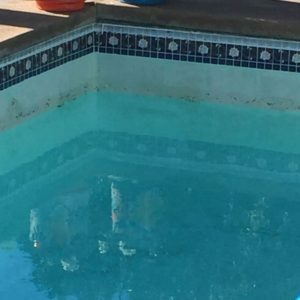 If your pool plaster has started to delaminate it’s time to consider resurfacing. One of the biggest decisions will be should you replaster or upgrade to a pebble finish. The two main factors to consider are durability and cost. White pool plaster has been around since the 1960’s although over the years many improvements have been made. Basically plaster is a mixture of white cement and marbleized sand. The plaster is applied to the gunite structure using a flat, round-round-edged trowel. Although white plaster is the iconic pool look (think modernism) it has a few drawbacks. It is highly sustainable to staining, discoloring and is very porous in nature. While plaster is less expensive than a pebble finish it can have a rough surface that shows trowel marks, spider cracks, etch and scale. The replaster process involves draining your pool and using jackhammers to remove the existing plaster down to the gunite surface. The new plaster is applied and the pool is immediately filled with water. The plaster cures under water and during the first few days plaster dust (dissolved calcium) secretes from the material. The dust is vacuumed and the walls and floors are continuously brushed for approximately 10 days. The water chemistry is slowly balanced and around 30 days you’re ready to heat the pool. Spa plaster has been jackhammered out to gunite shell. Next step is to bead blast tile then replaster spa. A pebble finish consist of cement blended with hundreds of thousands of river worn pebbles. The pebbles make up the majority of what you see. It’s a little rougher than plaster. There are a wide variety of cement and pebble colors to choose from. Different sizes of pebbles are available (smaller pebbles are smoother) and the pebbles can also be polished for a very smooth finish. The pebble finish is more expensive than plaster but is also a lot more durable. The finish should last 20 plus years compared to plaster (10-15 years on average). In addition, the pebble finish is not as susceptible to the staining we seen on plaster pools. Also the delimitation process is less prevalent. The pebble process is similar to the replaster process. 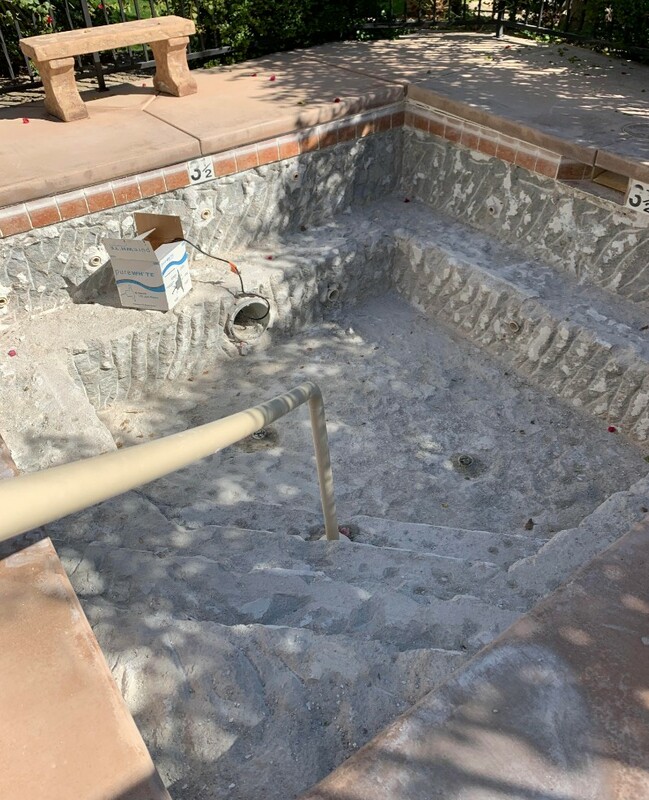 The main differences are there’s no plaster dust and prior to filling the pool (next day) a light acid wash is performed to remove the remaining cement film on the pebbles. I needed to have the pool replastered and tiled and they took care of it all -- quickly and efficiently and no drama at all. I now have a beautiful pool, all the equipment works correctly and life is good! 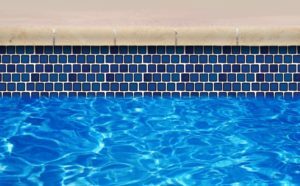 Decorative tile borders around the perimeter of your pool adds a personal signature and hides the build-up that accumulates at the water line. If you are resurfacing your pool, there is no better time to upgrade your existing tiles and create a new stunning look. PCS has been a really great company to work with. I had them re-surface my pool with pebble Tec about a year ago and they did a fantastic job. The bid came in lower than other companies at that time. And since then, they have been servicing my pool on a weekly basis. They are super dependable like clockwork with someone coming out. Whenever there's been the slightest issue with the pool, they've been right there to handle it for me. Thanks Pool Care! You're doing an awesome job! Changing up your decking is one of the easiest ways to inspire a brand new look for your pool and your outdoor living area. There are numerous designs and materials you can choose from such as concrete, tile, stone, and pavers. Replacing your coping is another way to freshen up the look of your pool. 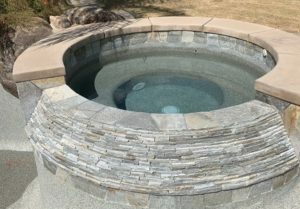 Coping is the stone or concrete used to cap your pool shell wall. Natural stone, precast concrete, and other options can greatly enhance the appearance of your pool. 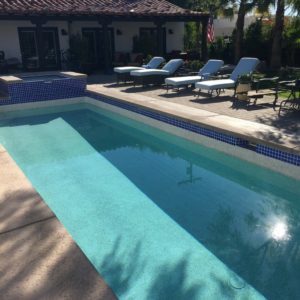 Kool Deck Painting is a concrete surfacing that can enhance the look, safety, and function of your pool deck and any walkways. This application can add color, texture, and lower the surface temperature of the concrete. This treatment is environmentally safe and easy to clean. Open up your options for night time swimming and outdoor entertainment by adding LED lighting. 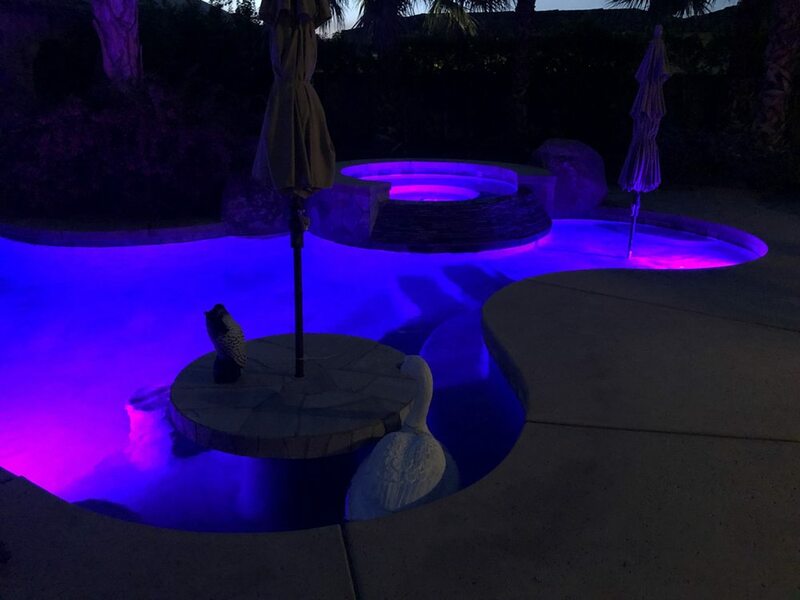 You can enjoy the luxury of a safe splash at night and an ambiance created by your selection of colored lighting. Don’t let your pool be a dark hole of water, but a centerpiece of the evening's activities. We just completed a renovation of a tiled spa and couldn't be happier. They had to rip out and replace bricks around the lip of the spa, remove 3" tiles from the waterline, chip out tiles and plaster from the entire body of the spa, then replace the waterline tile and pebble coat the basin. Add to that a new light and autofill mechanism. The workmanship is top notch. The workers arrive every day early and work steadily until each phase was done. There was no mess left on any day, and they were all friendly and informative. Having priced the job with 4 or 5 other contractors, PCS was very competitive. Some parts of the job became a bit more complicated, but there was no complaining - no renegotiating, they just knuckled under and got the job done. Very pleased!! So pleased, in fact, that we are having them renovate our pool and repair and restain all of our Kool Deck. And Natalie in the office... Well, she is just the best. There is no better addition to a pool than a spa. You and your guest could enjoy a invigorating dip in the pool, followed by the relaxing bubbling of a spa. You can choose a spa immediately adjacent to your pool or you can pick the ultimate: an attached spa where you can get from the pool to the spa in just a step or two. We can incorporate the addition of your spa into the decking and landscape, enhancing the beauty and function of your backyard. You can change the look and use of your pool by raising the deep end. The shallow end of the pool is where most of the action takes place, with games of volleyball and Mario Polo. Lap swimming does not require a deep end, so raising the deep end floor can create more play area and increase the value of your pool. 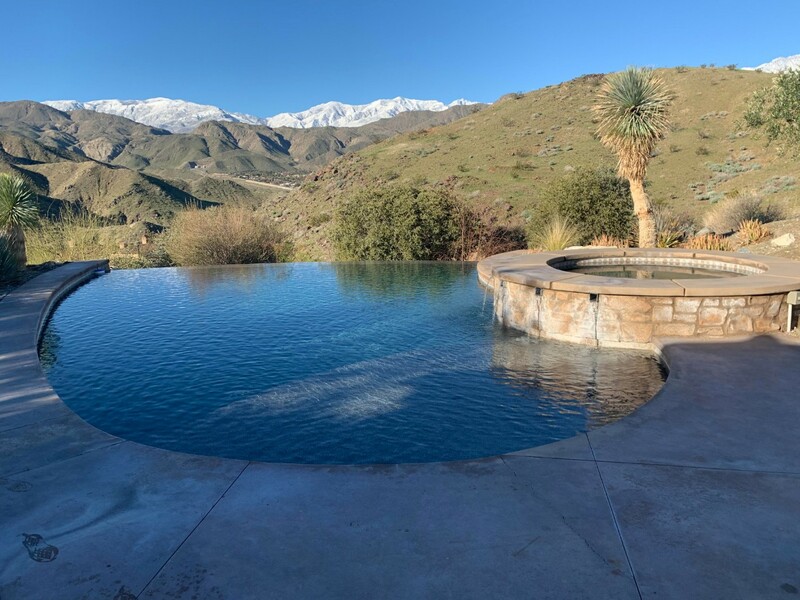 Our business has grown from a few residential and commercial customers to one of the largest pool remodeling and renovation services in the Coachella Valley. This growth has come from our satisfied customers and their referrals. We take great pride in earning their business and respect each & every day!